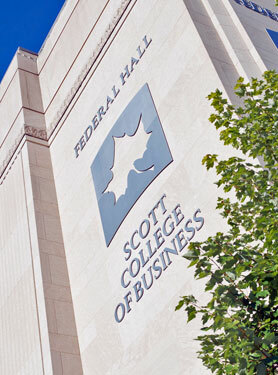 A prominent financial advisor and Indiana State University graduate will join an internationally recognized ethics professor as among the speakers at an upcoming conference about ethics. 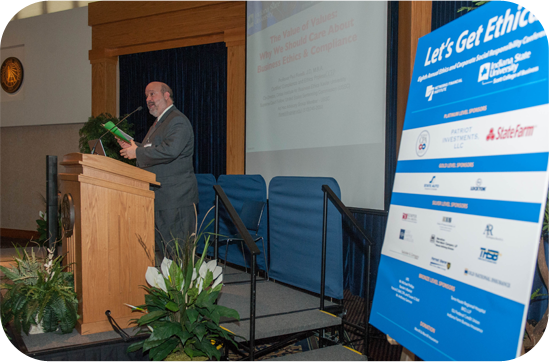 Financial advisor Joe Evelo and Paul Fiorelli, co-director of the Cintas Institute for Business Ethics at Xavier University, will present at the eighth annual Ethics and Corporate Social Responsibility Conference at Indiana State on April 3. Evelo will present "Ethics and Integrity in the Real World: A Real-Life Story of an ISU Student" in a general audience session at 2 p.m. Fiorelli will present "The Value of Values: Why We Should Care About Ethics" during a noon presentation.